Would you like to become a professional translator but don’t know where to start? Are you not sure how and where to market your services, how to set your rates, what equipment to use? 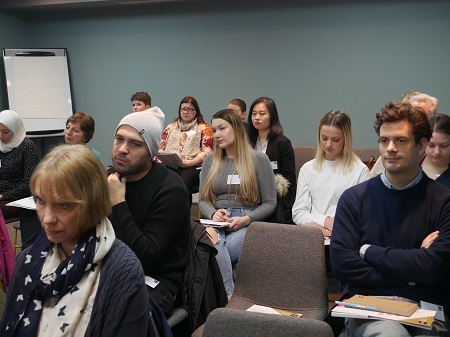 Do you want to learn where to find help, what is CPD, how can you resolve any potential issues with your clients and what role the professional bodies can play in life of a linguist? Then this event is for you. The event is aimed at translation/languages students and those who would like to change their career direction to translation. 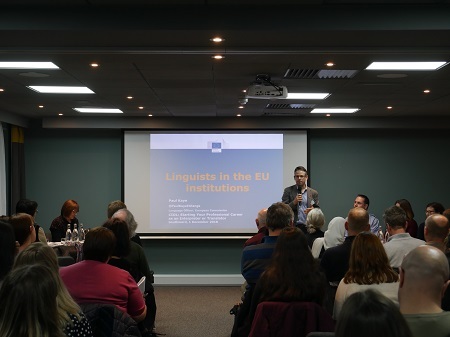 15:35 - 16:30 Short presentations and panel discussion lead by Karen Stokes with Army Intelligence Corps, European Commission, RAF Intelligence, a translation agency, and a recently qualified translator. The panel discussion will be followed by a Q&A. Throughout the breaks there will be professional translators available to talk to the attendees individually. Karen Stokes is a professional translator, working from French to English in business, law and international development. She graduated in French and German from the University of Oxford and worked as a commodities buyer in the UK food industry, before returning to languages as a further education lecturer, business language trainer and later, translator. Karen holds the IoLET Diploma in Translation and an MA in Legal Translation from City University. 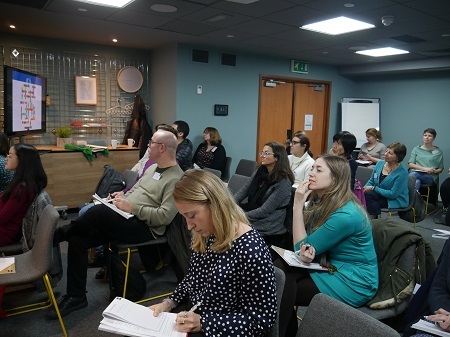 She has been actively involved in CIOL since she joined in 2001, including designing and delivering the Working Successfully as a Freelance Translator CPD workshops. Karen is a member of CIOL Council and served as Chair from April 2016 to July 2018. Jane joined CIOL in March 2015 and is responsible for membership strategy. Working closely with the Applications Committee and Council, Jane's remit is to continue to grow CIOL membership and to ensure that the service and benefits it offers members are valued and meet the needs of today's professional linguist. Jane is an experienced membership development professional and has worked with professional institutes and membership organisations for over 20 years. She passionately believes in the benefits linguists can derive from being a member of CIOL - from the networking opportunities to professional recognition and development. Janet has worked as an in-house translator, multilingual journalist and Senior Lecturer. She is now a freelance translator/editor. 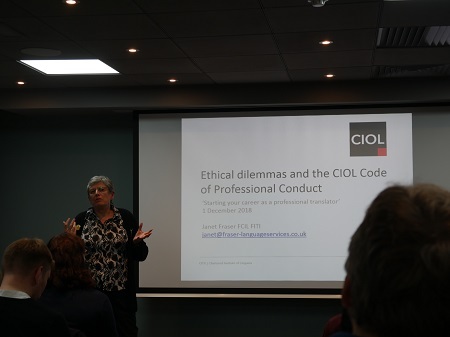 Janet has held a number of committee posts within CIOL and ITI and recently helped to rewrite the CIOL Code of Professional Conduct. She regularly gives presentations and workshops on issues of professionalism.